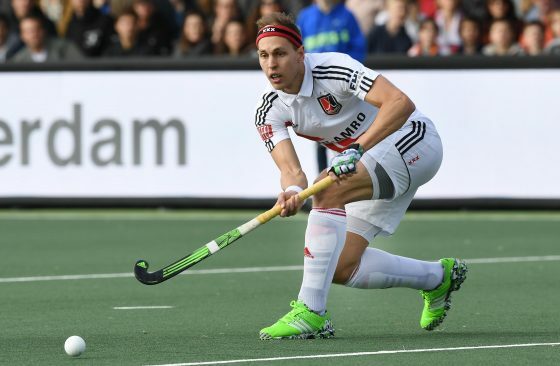 Professional field hockey player Justin Reid-Ross moved to Amsterdam in 2010. The 29-year-old South African, who played for his country at the 2012 Summer Olympics, can certainly tackle a big burger and score a decent G&T. He also has a passion for Chocomel. I was playing club hockey in Australia when I came in contact with the coach of a Dutch club called Pinoké, based in Amsterdam. I’d always wanted to play hockey here, as it is widely considered the best club competition in the world. When the offer came in to move to Amsterdam I jumped at the opportunity. After four years at Pinoké, I moved to Amsterdam hockey club (AH&BC). At that point, my wife Ash had also moved over and found a job so we decided to stay. A few years ago I would have considered myself an international. I was traveling a lot for hockey and always ended up back in South Africa. Now, Amsterdam is home so I probably fall into the expat category with the possibility of going full Dutch some time in the future. How long do you plan to stay and why? My wife and I are very settled in Amsterdam and have no intention of returning to SA any time soon, so at this stage we are here indefinitely. We love the lifestyle and easy access to the rest of Europe. We’d like to take advantage of that as long as we possibly can. Yes, I do. The first few years were difficult, especially because Amsterdam is such an international city. I never took formal lessons, but when I changed hockey teams in 2014, I moved to a club where I was one of only two non-Dutch speakers. I decided to throw myself into it and only speak Dutch with my teammates and coaching staff. That was the turning point and I am now fairly confident in Dutch. What’s your favourite Dutch food and why? There isn’t much that can beat an ice cold Chocomel! I’ve always loved chocolate milk but Chocomel is just on another level of deliciousness. I have a serious soft spot for it. I also love some bitterballen now and then. How Dutch have you become and why? Pretty-damned Dutch. I often find myself shouting ‘Halloooooo!’ at tourists on bicycles or pedestrians who have wandered into the bike path. I often have to remind myself that this was me just a few years ago. I also find myself constantly searching for any sliver of sunlight I can find, and taking full advantage of it. This is a tough one. I guess, as a sportsman, my first choice would be Johan Cruyff. I was fortunate enough to meet him very briefly last year and I would love to have had the chance to pick his brain for a while. Second would be Jan van Riebeeck, the man who colonised Cape Town. I think his story would be amazing. Finally, I would enjoy a chat with Dutch hockey legend Teun de Nooijer. I was fortunate enough to play against him a few times before he retired, but I never really had the chance to interact with him much. He was a hero of mine growing up, so that would be a great moment for me. Take a food tour of Amsterdam. Since I arrived in 2010, the entire culinary landscape has changed. Brunch spots in Amsterdam are great and new restaurants open weekly. Amsterdam is rapidly becoming a foodies’ hotspot. Just on one street near where I live, there are great spots like Fier, Rotisserie, Van ‘t Spit, Radijs, Pesca and Hendrix. Summers can be surprisingly hot! There are days that I honestly think I am back in South Africa, but to be honest those days are few and far between. When I first arrived, I was always surprised that when the sun came out, there is almost nowhere to move in the city. Everyone heads outside, clamouring for any sunlight they can find. I also found the extreme lack of space in Amsterdam quite intimidating. My first apartment had the toilet in the kitchen! That took a while to get used to. Assuming it was a nice summer’s day and being a proud Amsterdammer, I’d spend the entire 24 hours in the city. I would wake up early and go for a run. I’d stop at White Label Coffee for a flat white and then head home to pick up my wife, Ash and our French bulldog pup Harvey and head to G’s Brunch Boat, for an awesome brunch and Bloody Marys while cruising the canals. After that, we’d head towards the Amsterdamse Bos for a walk with our dog and a quiet afternoon reading and lying in the sun. From there, head back towards the city and stop in at Rotisserie for the best burger in town and a great G&T. In an ideal world, we would end the evening off watching a great band playing at Melkweg or Paradiso.